Many people dislike having excess fat on their face and cheeks. While deciding to go under the knife would solve your face fat problems, this is not the only solution. Living a healthy lifestyle, which includes eating right and exercising regularly, will help you lose fat from the face. Doing so would also help you lose unwanted fat on other areas of your body, and improve your overall health. You can also do some facial exercise to tone the skin around your face, or visit a salon for a nice haircut. 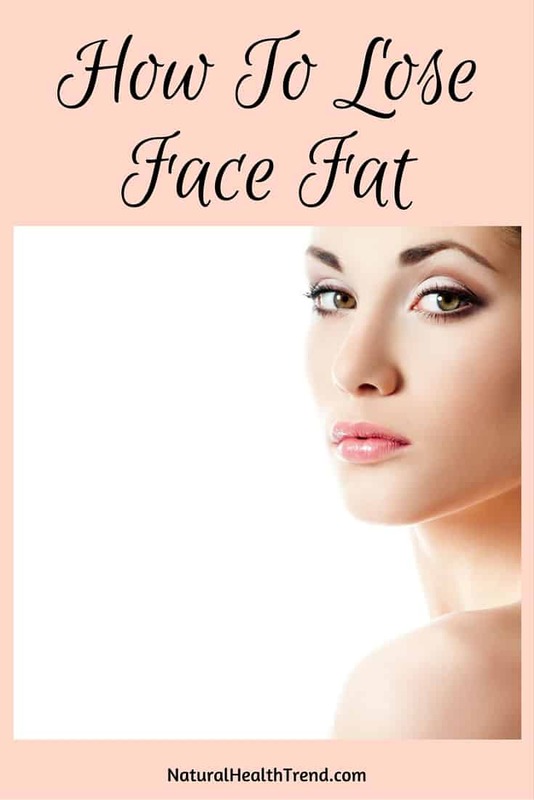 As mentioned earlier, face fat is often caused by bloatedness and the extra weight. You need to live a healthy lifestyle in order to address these issues, and start looking and feeling great again. You can start by doing moderate cardio workouts for up to 300 minutes per week, according to the Centers for Disease Control and Prevention. The total time can be distributed throughout the week, such as exercising 30 to 60 minutes per day. A good cardio workout requires increasing your heart rate to at least 60 percent of your maximum heart rate. Reaching this state will trigger your body to burn fat and help you lose weight. If you find this activity boring, then you might be surprised to know that you have plenty of options to choose from. You can attend aerobic classes, play tennis with friends, or jog with your dog. You also need to do some strength training at least twice a week. Weight-bearing exercise allows your body to build muscle, which results in increased metabolism and fat burn. Doing this regularly will also tone your muscles, making you look leaner and better. Lastly, a healthy and balanced diet will significantly drop your weight and body fat. The fat buildup around your face will gradually lessen and bring out a better face shape. Another way to make your face look slimmer is to have the right haircut for your face shape. Visit your favorite hairstylist and ask them what haircut will work best with your face. You can also search online for a celebrity with a similar face shape as you, and ask your hairstylist to copy it. Make-up can be your best friend, as well. You can emphasize your best facial features by contouring. Make-up artists usually highlight the jaw line, nose, and cheek bones to make your face slimmer. You can ask your trusted stylist for make-up tips, so you can always look great, even during busy days. Posture is also crucial in improving your overall look. If you want to look slimmer and more glamorous, then you will need to practice proper posture and carry yourself with confidence. You need to be proud of your appearance, even though you do not look like your favorite model or celebrity. While you cannot please everybody, there will be people who will find you attractive. Besides, people find confident individuals the most attractive, so chin-up and walk proud. Doing facial exercises might not significantly get rid of face fat, but they are still helpful. There are plenty of facial exercises that you can do, anytime and anywhere you wish. The lion pose, for example, will help strengthen your muscles on the neck and face. You will need a yoga mat or a comfortable carpeted floor. This is because the workout will require you to kneel on it with one ankle crossing over the other, and your buttocks resting on your heels. The next step would be to spread out your fingers with your palms resting on your knees. Slowly breathe in through your nose, and then open your eyes and mouth. Get your tongue out, and stretch it down toward your chin before exhaling through your mouth with a “ha” sound. Do this three to six times. Doing big smiles will also help tone your facial muscles. Simple try to smile as big and wide as you can. Hold this for about five seconds, and then relax before doing it again. Keep repeating this exercise for five to 10 times. You do not need to go under the knife in order to have a slimmer face. Some people have been blessed with face shapes that allow them to be effortlessly beautiful. You can still, however, be pretty by following the tips above. Always remember that confidence is the key to being attractive. You will be surprised at how much attention you will get just by moving with confidence.